The analysis by Professor Edzard Ernst, a leading international authority on complementary and alternative medicine, claims that the vast majority of integrative clinics advertise alternative therapies that lack a solid evidence base and that integrative medicine is little more than an “ill-conceived concept” in conflict with evidence-based medicine. Professor John Dwyer, President of FSM, stressed that FSM had been issuing similar warnings for some time about the emergence of Integrative Medicine in Australia. “Many GPs who lead “Integrative Medicine” practices promote alternative medicine concepts to their patients and, in so doing, abandon the long held commitment of doctors to champion the importance of credible scientific evidence of clinical effectiveness underpinning the care they provide to patients,” Said Professor Dwyer. “The prestigious National Health and Medical Research council recently reported to government that they could find no evidence of clinical benefit from any of the eighteen most common Alternative modalities commonly promoted in Integrative Medicine,” he said. FSM strongly supports research into traditional therapies that are not an affront to accepted knowledge of physiology and pathology and where there is strong anecdotal evidence to suggest proper scientific evaluation would be important. However, neuroscientist Professor Marcello Costa claimed, “Integrative Medicine has nothing to do with proper efforts to bring scientific and alternative medicine together in ways that would determine what works and what does not work. 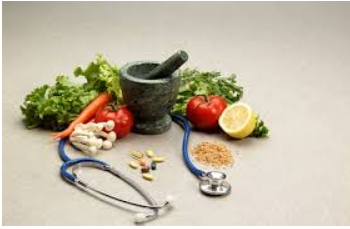 Participants in Integrative practices are promoting parallel pathways mixing science-based health professions with pseudoscience based practices, suggesting that this approach offers patients the best of both worlds”. In his recent address to University of Adelaide medical graduates, published this month in MedicSA, Emeritus Professor Alastair MacLennan, Vice President of FSM, warned the new graduates that they would be challenged by the upsurge in non-evidence based therapies and alternative therapists and that “they should not be seduced into the lucrative but unproven and therefore untenable amalgam of traditional medicine and pseudoscientific alternate practices”. Professor MacLennan quoted Professor David Gorski as saying, “When health fraud turned into ‘alternative medicine’ and then evolved into ‘complementary and alternative medicine’ and then reached its final form of ‘integrative medicine’ the language war was lost. That’s how quackery became main stream”. “The Australian Federal government has no legitimate basis to continue funding health fraud and quackery”, said Professor MacLennan today. “Just as the government is appropriately suggesting removing Medicare benefits for unproven or low value medical and surgical procedures, there are no grounds for continuing to subsidise a vast array of unproven alternative therapies directly or indirectly though private insurance rebates”.